Internet Marketing is a broad term covering a number of areas related to getting visitors to your website through search engines. Getting ranked highly in search engines such as Yahoo! or Google is one of the most cost effective way to get visitors to your website and generate new business. There are millions of searches conducted daily for products and services and if you can capture a fraction of that you can receive a lot of visits to your website. And if your website is getting found for the right keywords, your visits will be very targeted to the products and services you provide. The objective of Search Engine Optimisation (SEO) is to increase your Search Engine Rankings through ‘natural’ or ‘organic’ search engine listings. This means how your website is ranked is entirely dependent on the quality of the website you build (content), and the way the general community value your site (is your website more highly valued than the website of your peers or competitors). Getting ranked highly is purely at the discretion of the search engine and cannot be requested or purchased. Understanding how search engines assess your website is fundamental to improving your rankings, and can take a considerable amount of work. The objective of Search Engine Marketing is to utilise the ‘Sponsored Listings’ services of search engines to get ranked highly. Sponsored listings are a form of paid advertising whereby you pay for every ‘click’ that you receive through search engine results. The higher you wish to pay for a click, the higher you will get ranked. The cost of of a click depends on the competitiveness of the keywords you are targeting. Over the long term SEO is the cheapest form of marketing and should always remain the focus of any of your online activities. However, when you setup your website you don’t usually have the luxury of waiting for your rankings to improve which can take months or even years. 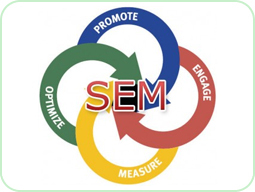 Therefore, paying for an immediate high position in search engines is very important (SEM). And if you monitor the click-throughs and keep a careful eye on your budget, Search Engine Marketing can be a very effective tool to get targetted website visitors. Even with paying for advertising, your organic rankings (SEO) still have a bearing on the cost of your SEM activities so it’s obviously important to undertake in both marketing activities. 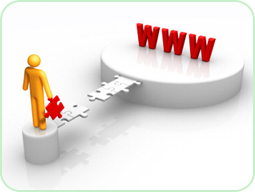 There are ways of increasing your website’s ranking by following some basic principles as outlined below. This is a brief summary of the services we provide in our low cost Search Engine Optimsation plans. This is the first important activity to undertake before optimising your website. You need to understand which keywords users type into search engines in order to find you or competing websites. Your metatags should be properly placed within your website with the correct keywords and descriptions to ensure optimal Search Engines indexation. Your website must include the key words and terms for which you want to be found. Keywords should be strategically placed; roughly in order of importance in your website. When launching your website, it is vital to submit your website to the top Search Engines so they know your site exists. Search Engines see links from other websites to your website as an important ranking criteria. Getting quality websites with complementary products to link to your website can be a big help in achieving higher ranking. Search Engines favour websites that regularly update their content above those websites that don’t. 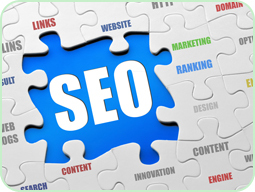 It is vital that you monitor Search Engine Rankings to make sure your website is being seen. Check the number of hits to your website receives each month and how this measures up to your objectives. Boost Your Search Engine Rankings Today!